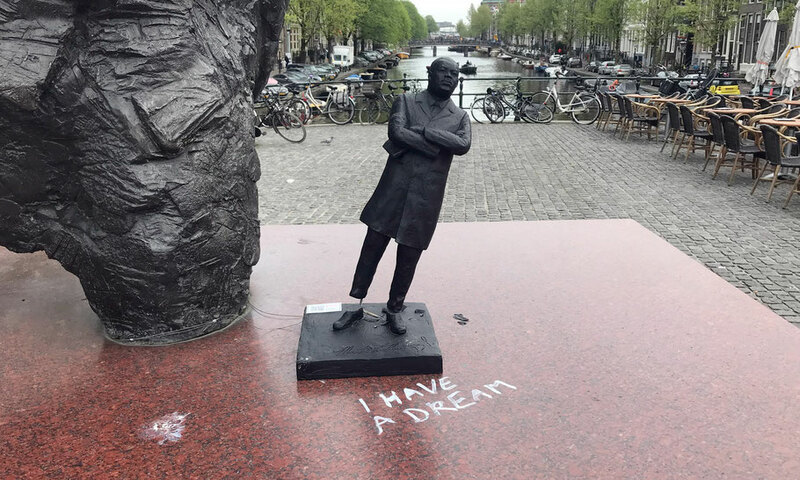 To keep his dream alive, 50 identical statues of Martin Luther King were placed from Washington to Amsterdam on locations that refer to slavery and places that let us remember how important it is to end racism and fight for equality, regardless of gender, religion and race. 23 were placed in the public space. When doing so, there's always the risk that there will be damage after some time. It was expected. But still, it was heartbreaking to find 2/3 of the statues being stolen, broken, amputated and even beheaded. First reaction was to think of racist motives. The images of 'southern trees bearing strange fruit' immediately cross the mind. 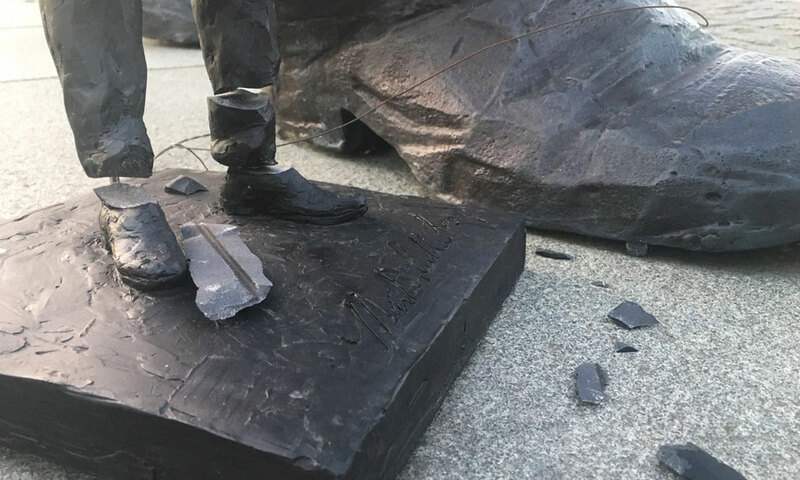 Rescueing the vandalized statues and bringing them home was first priority. It was so sad to be confronted with sheer vandalism... why do people want to destroy things? Do they think it is funny? Beheaded in front of the West-India House, former HQ of WIC, slave traders in the 17th century. 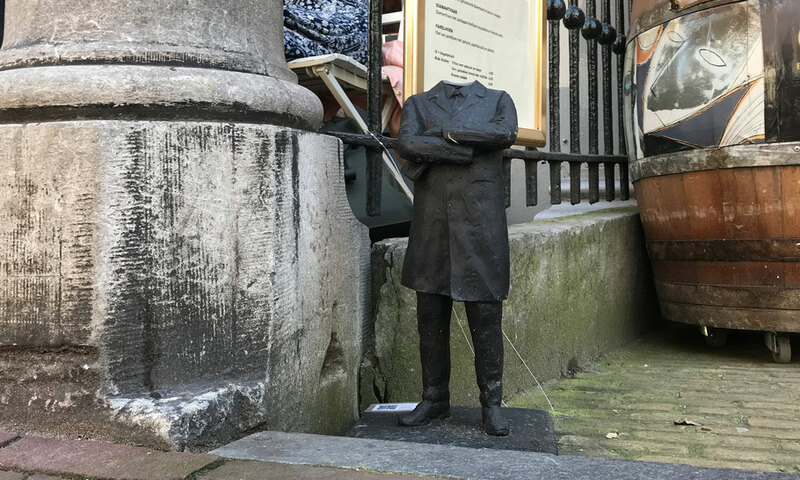 23 Statues were placed in public places, from Amsterdam to The Hague, up to Friesland. Ten of them have been taken inside and adopted by museums and institutions, like Museum van Loon, Museum of World Cultures and UN Peace Palace. Five disappeared; stolen or taken away, their whereabouts are unknown. Eight were damaged and eventually came back, sometimes even after months. 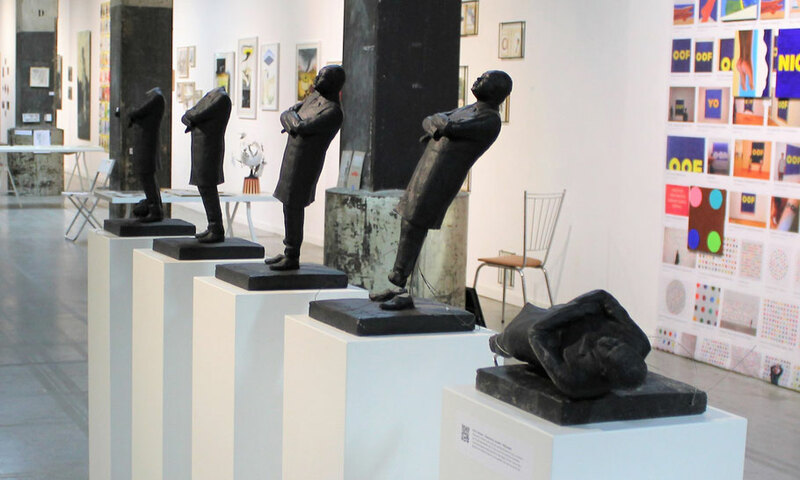 Those eight broken statues are the silent witnesses of the aggression, indifference and violence in our society. Vandalized during 'King's Night', the party night before 'King's Day'. How ironic. 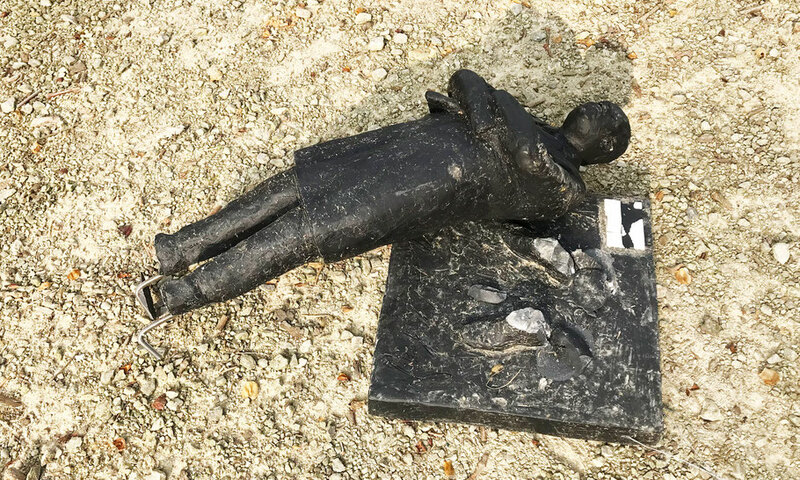 Too sad, totally broken into pieces at the place were the slave ship Leusden was built, killing 660 enslaved in a shipwreck. Beheaded at the Monument Aginst Apartheid and Racism, only a few days after the statue was placed. 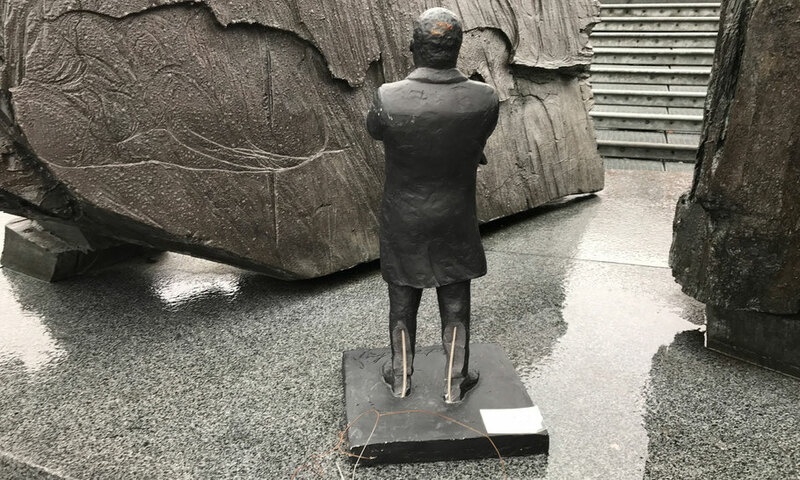 The statue placed next to Mama Baranka, the monument for Kerwin Duinmeijer in the Vondelpark, was stolen by a alcoholic, but the police caught the thief, when he was walking away with the statue under his arm. 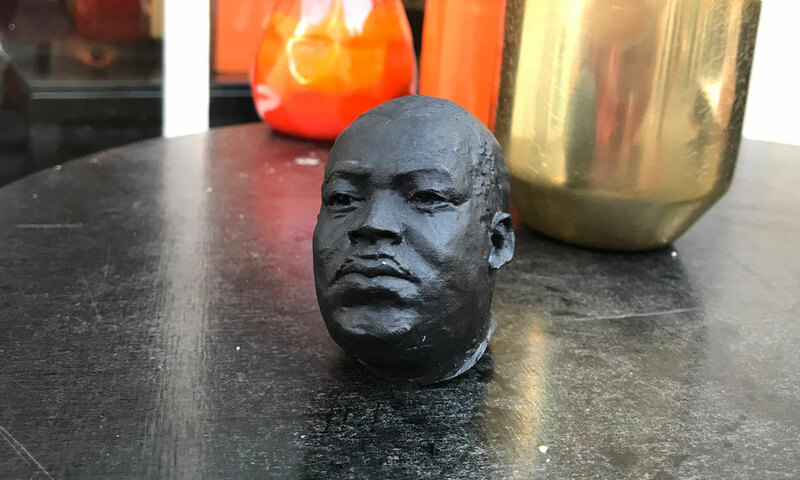 So again Martin Luther King ended up in the police station... Luckily the popo found out where the statue belonged and the park managers picked it up. It was heartwarming to discover that some people really took care of the statues and looked after them. They are the brothers and sisters who sent a message, when they discovered something bad happened to the Dr. King statues. Thank you, strangers, for taking care. 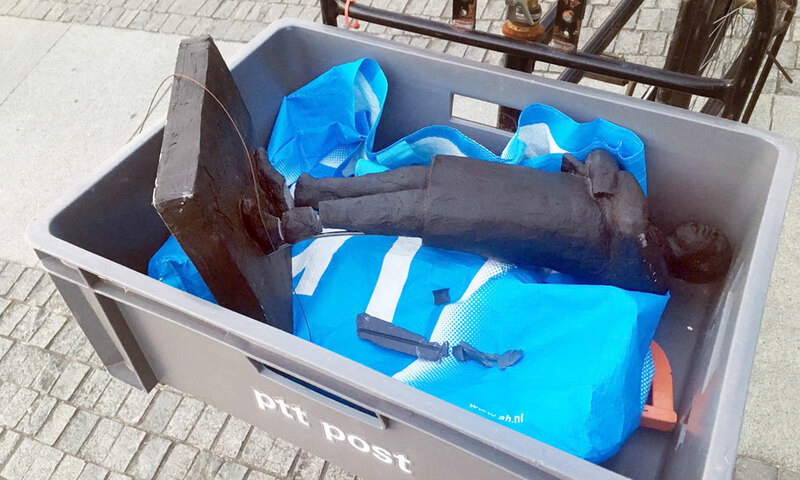 Found in the archives of the municipality after 3 months... it had been standing next to Anton de Kom for almost half a year. 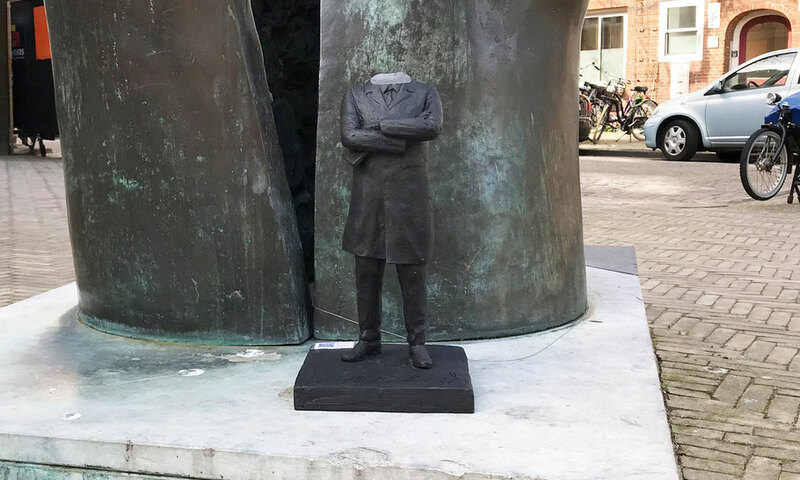 Knocked off his feet, after 3 months standing tall, next to the Nelson Mandela statue in The Hague.